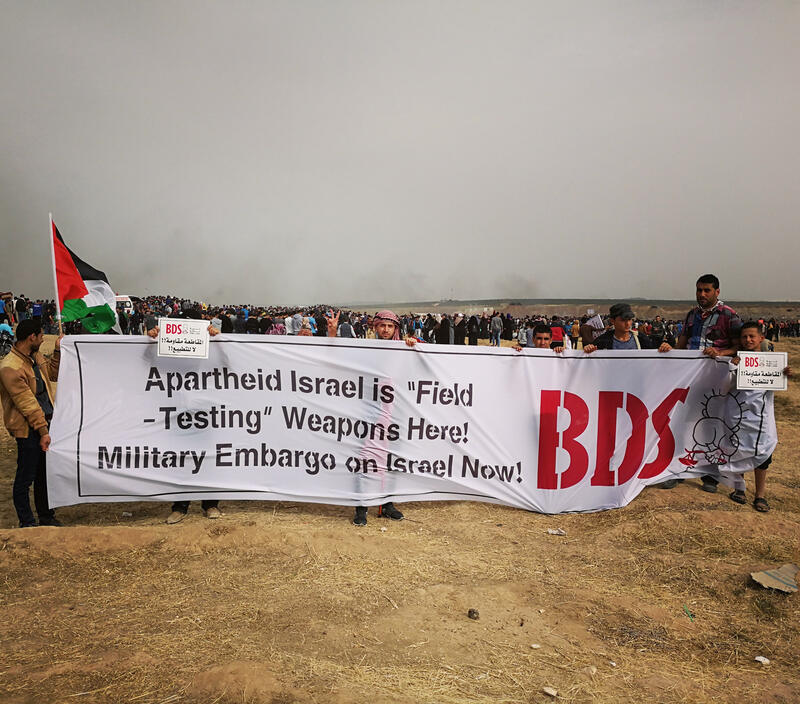 April 2, 2018, Occupied Palestine — Evoking memories of the South African apartheid regime’s massacre of peaceful protesters in Sharpeville in 1960, Israel’s military committed a new massacre against Palestinian civilians as they were peacefully commemorating Palestinian Land Day, calling for an end to Israel’s brutal blockade of Gaza and asserting the UN-stipulated right of return for Palestinian refugees. Join military embargo campaigns targeting Israeli military companies and other companies involved in Israel’s military and security sector. Examples include the campaign against Elbit Systems, which tests its weapons on Palestinians; the campaign against the security company G4S, which trains Israeli police in enforcing Israeli apartheid; and the campaign to pressure the Hewlett Packard (HP) group to end provision of vital technology to the Israeli checkpoint system and the Israeli military imposing the siege on Gaza. Join or build campaigns against cooperation between Israeli police and police forces abroad, through which Israel’s tested doctrines and techniques of brutal repression of peaceful protests are exported to the world. An example is the Jewish Voice for Peace-led “Deadly Exchange” campaign. Join or build campaigns to end all transactions with Israeli banks and pressure international banks and investment funds, like HSBC and Axa to end their complicity in Israel’s human rights violations.